Outdoor lighting is an essential part of landscape design and something that every home needs. Landscape lighting increases safety, enhances your home security measures, guides traffic through your yard, accentuates interesting features of your home or yard, provides task lighting and illuminates your outdoor living areas. So, really, the only question is which type of outdoor lighting is right for you. The three basic categories are solar, halogen and LED. 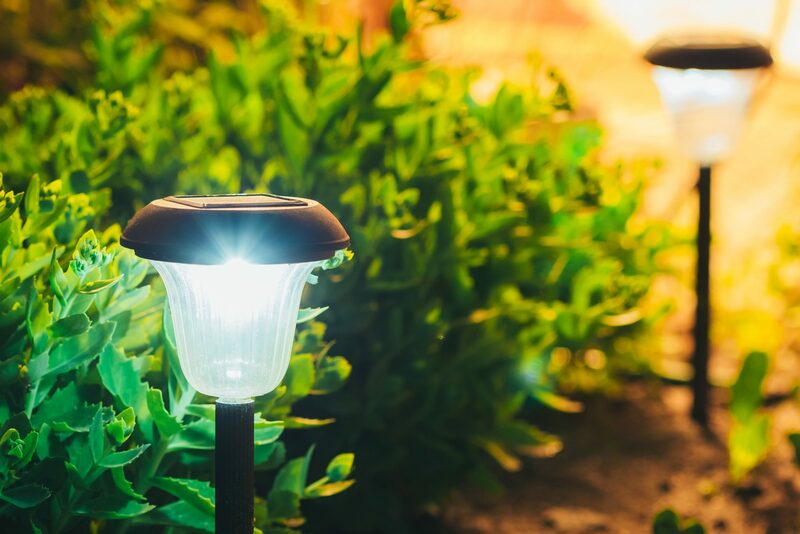 Here, we will look at the pros and cons of solar landscape lights, but be sure to also read Halogen vs LED Landscape Lighting to help you determine the right lighting product to best suit your needs. 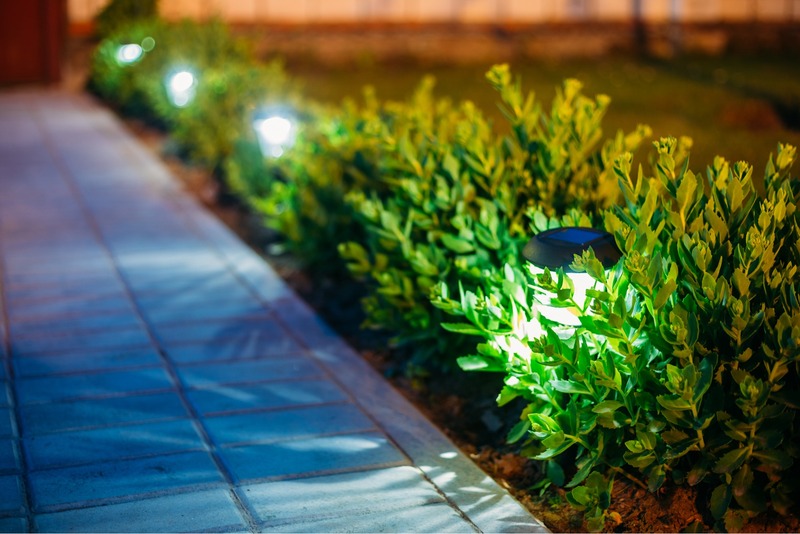 First, let’s take a look at some of the pros of choosing solar-powered landscape lighting for your patios, walkways, driveway, flowerbeds or garden. You do not need a nearby source of electricity and do not have to run electricity to the area for your lights. Because you do not need electricity, you can place your landscape lights almost anywhere that receives adequate sunlight throughout the day. Your landscape lighting will not increase your electricity bill. In the summer months when the days are longer, you can expect your lights to stay on longer into the night, which may be a benefit during this popular season for entertaining. You can install your lights in a flowerbed or vegetable garden where you frequently dig without worrying about damaging electrical wires. Because no wiring is required, solar landscape lights are easy to install and can be a do-it-yourself project. Other than your upfront investment, you can expect to spend little to no money during the lifetime of your solar lights. This is because they do not require electricity and have minimal maintenance needs. Because they do not require electricity, solar yard lights are an eco-friendly choice that can help lower your home’s carbon footprint. You do not have to worry about your children or dogs cutting, chewing through or tripping on electrical wires. 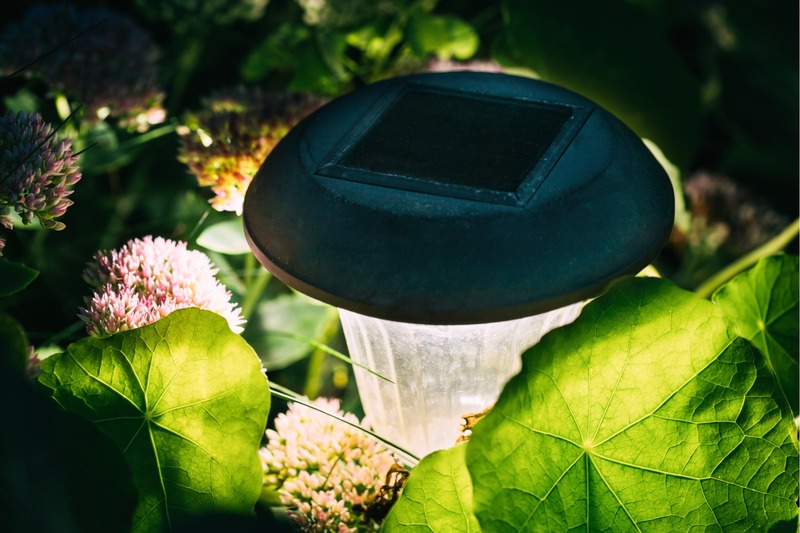 Now that we have gone over the potential benefits of choosing solar landscape lights, let’s look at some of the cons of solar lighting to help you determine if this is the right type of yard lights for you. 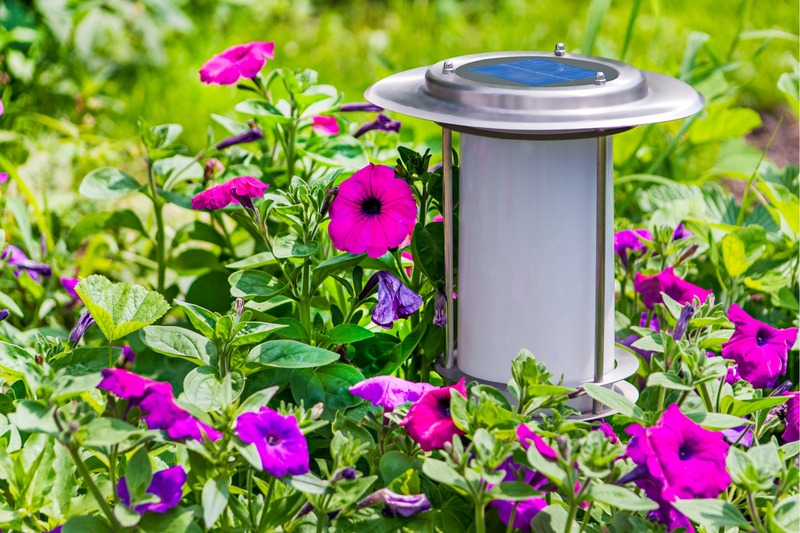 Solar landscape lights must be placed where they will receive light throughout the day to charge the batteries. Solar landscape lighting is generally not a viable option in areas with trees, shrubs, bushes, plants that block the sun. Solar lights often cannot be used near structures that block the sun for a significant part of the day. The solar panels must be cleaned regularly to remove dust and debris that can block the sunlight needed to charge the batteries. Most solar lights will not stay on as long as other landscape lighting options after nightfall on cloudy days due to not receiving enough sunlight to charge the batteries fully. You must regularly prune branches and bushes that block the sunlight. Solar yard lights often have dimmer illumination when compared to other lighting options. Wired landscape lights that require electricity can be set to stay on as long as you would like every night; whereas, solar lights will only stay on as long as their daily charge allows. Solar light batteries need to be replaced every two to three years; sooner is they corrode from moisture. 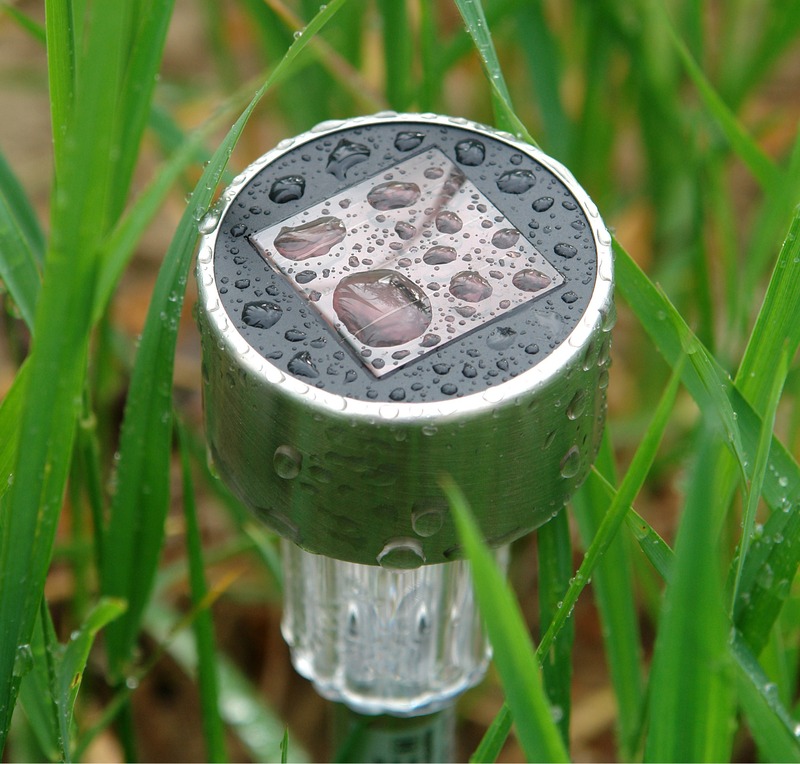 Due to the aging of the solar panels or batteries, you will almost always need to replace solar lights more often than other types of landscape lighting. Solar landscape lighting require an adequate level of darkness to turn on at night, which means you cannot use them near other types of lighting, such as porch lights or string lights on your patio that are often on at night. The shorter days of winter mean that your solar light batteries will not have as much charge and will not last as long once darkness comes, but this is the time of year when darkness comes early and you are more likely to need a longer period of outdoor lighting for evening entertaining. If you need landscape lighting to light a walkway or driveway early in the morning before the sun comes up, you may find that your solar lights do not charge enough during the day to stay on this long at night. 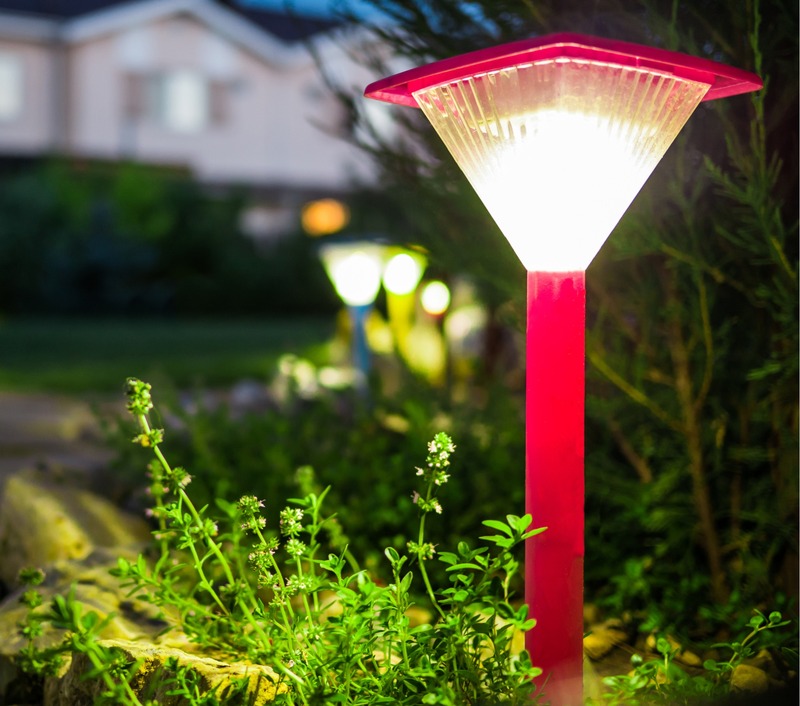 Solar-powered lights have a place in the world of landscape lighting and can be a particularly good choice for areas where running electrical wires is not practical or possible. They are also a good choice for homeowners looking to lower their carbon footprint or for renters looking for an easy-to-install, temporary yard lighting option that they can take with them when they move. This type of lighting is often not the best choice for folks who need reliable lighting early in the morning or late into the night. This is also not a good option for folks who do not have the time to regularly clean the solar panels or prune trees and bushes to ensure optimal charging of the batteries each day. Before purchasing solar landscape lighting, we recommend looking into LED landscape lighting, which uses much less electricity than older yard light options and generally has a longer life expectancy than solar light fixtures. By comparing these two options before making a purchase, you can better determine which is the right choice for your particular situation.